Apologies for the rubbish quality pictures in this post, I stupidly left the SD card for my camera in my computer so was stuck with just my phone for the day. 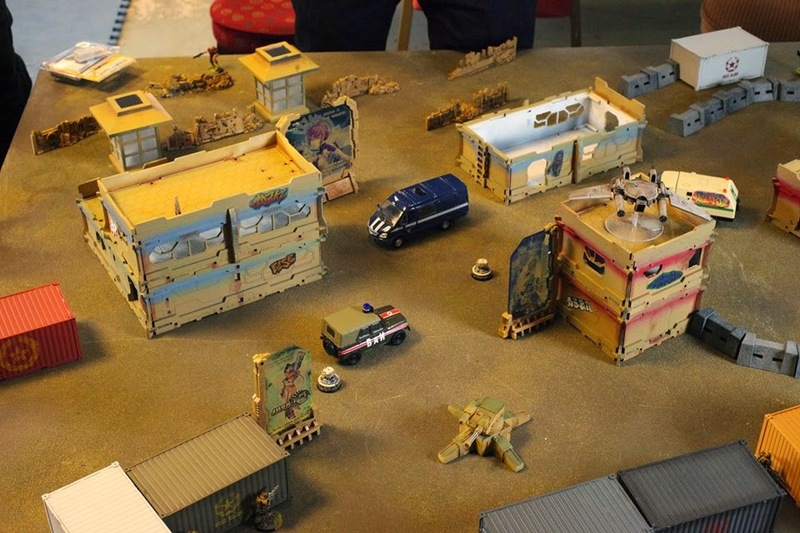 This Saturday I braved the rail strikes in order to attend Operation: Firestorm held at Firestorm Games in Cardiff. The format for even was 300 points and the missions were Transmission Matrix, Seize the Antennas and Frontline. The event was organised by Callum Wright (Flipswitch) and the venue could not have been better. If you haven't been down to Firestorm Games before then I highly recommend it, they have a great selection of stock and a fantastic gaming space. I can't believe that I hadn't been to visit before. Last weekend I ran another BIG Tournament in Bristol and this time sixteen intrepid Infinity players showed up from as far away as London and Exeter to take a crack at the competition. The size of the event was definitely a surprise to me as there was another tournament happening in the Midlands that same weekend which a fair amount of 'regulars' were attending. In fact I had only planned for a dozen players and had to hastily request extra tables for us! There was a decent distribution of players for this event with a mixture of seasoned veterans as well as those playing their very first event. Most importantly, I think everyone had a good time! Side art on new winner's box. Welcome to the second part of my series about list building in Infinity. In part one I wrote about the primary roles that I tend to build lists around. If you haven't read it then I recommend that you go take a look now as I'll be referencing it quite a bit. There are clearly many units that don't fit into the roles I've previously described, so this time I'll be talking about secondary roles which should cover most of the outstanding units. Understanding these roles and knowing why you are taking a particular unit can be very helpful for making a cohesive and competent force. Not only that but it can help you determine weaknesses in your opponent's armies too. Once again there is a disclaimer: These aren't hard and fast rules and many units can fit into multiple roles or may not appear to fit any - but this is good place to start. All examples are assuming a 300 point army built for ITS missions. 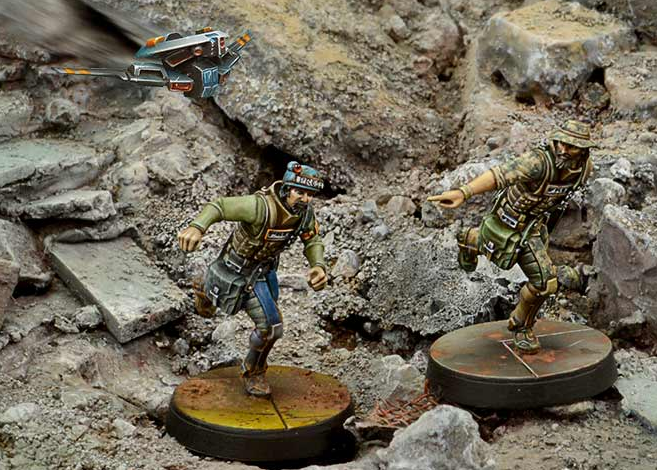 Please enjoy some pictures of March's releases from Corvus Belli: Does anyone else find the cactus weirdly cute? With the one year anniversary of Lead Rising coming up in the next couple of days I think it's finally time to spruce the place up a bit. I'm looking to commission a banner for the blog. There are a great many talented artists who are also wargamers so I figured where else would I turn to other than the communities I'm a part of? 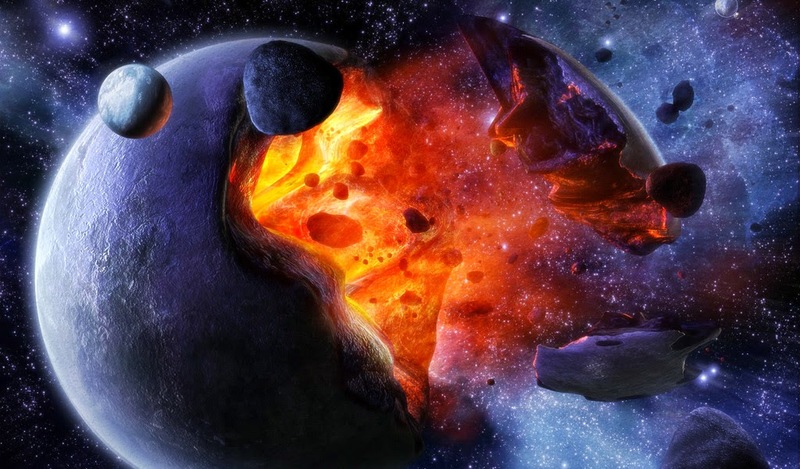 The banner must include the name of the blog and ought to take aspects from the gritty world of the Realms of Chaos and the sleek, futuristic style of Infinity. Think gruesomely-mutated beastman squaring off against high-tech power armour soldier. If you'd like to know more, or are interested in working on this, then please let me know by PM, Comment or Email (west.herts@gmail.com). I'll leave this open for a couple of weeks, or until I've made a decision, whichever comes first! Secondly, as you may have already noticed, I've got a new look for the blog. 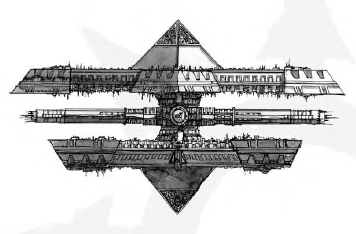 The old design was only meant to be a place-holder and really was around for far too long. Hopefully the new look will be easier to read and more pleasant to look at. This isn't likely to be the last change and you may catch me tinkering with the settings over the next few days so don't worry if things change again suddenly! Please do let me know if you experience issues viewing any of the pages now or something doesn't appear to be displaying correctly. List building in Infinity is hard. The mantra of "it's not your list, it's you" has gone up in smoke and, given the new 2015 scenarios, it's unlikely to make a comeback. For ITS (Infinity Tournament System) events especially, list building is an important part of playing the game. A solid list won't win the game by itself, but it helps to have a solid foundation to build on. The good internal balance of Infinity and lack of combo-based gameplay means that it's hard to just make an army by discounting 'underpowered' units, spamming the best thing or building around obvious/deliberate combinations of profiles. There aren't really any archetypal lists for most factions and the idea of net-listing hasn't made its way into the game yet. 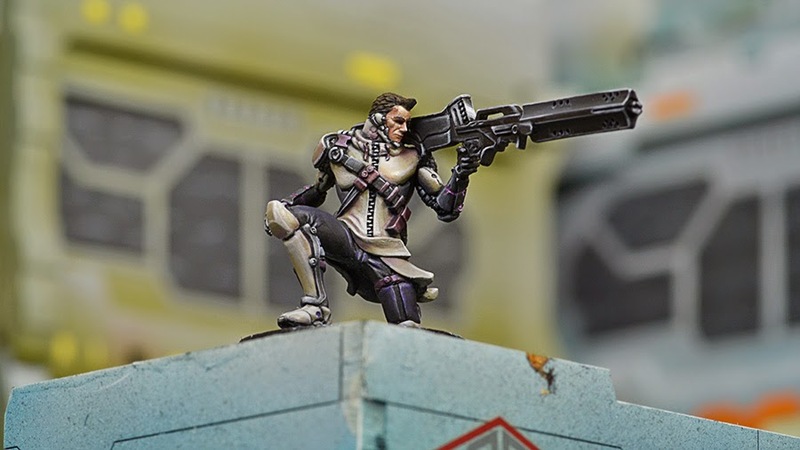 On the forums we've seen a lot of new players who are confused about what makes a cohesive force and tend to make (understandable) mistakes when shaping their armies. So I'm planning for this to be the first of a three part series, aimed at newer players, about list building for competitive games of Infinity. The inspiration for these articles came from these posts on CritsKillPeople - so go have a read about Unit Roles & Misunderstood Roles. Please enjoy some pics of new releases from Corvus Belli. Nazarova Twins: Don't the old mono-bikes seem so quaint now? 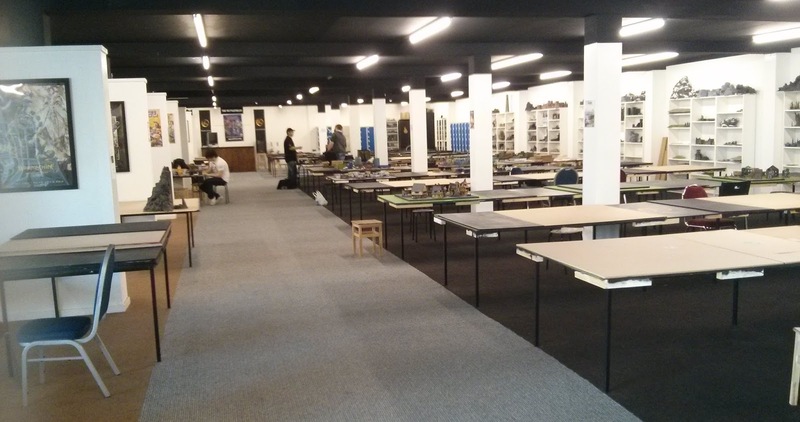 The second part of my Infinity Weekender was the Spring Challenge tournament in Exeter. I travelled down with Stuart (Fathi Amirmoez), Robin (i0003) and John - who were all also at my event yesterday! I've got to admit, I almost didn't go to this event. We'd stayed up fairly late playing the X-Com board game and One Night Ultimate Werewolf, which meant I was somewhat lacking in sleep and feeling rough in the morning. But I dragged myself out of bed and piled into the car (cheers Robin for driving us!) - although I sleepily forgot my templates, army lists and rulebook. Oops! Much to my surprise, this thirteen man tournament - my first ITS event of the year - actually went pretty well! 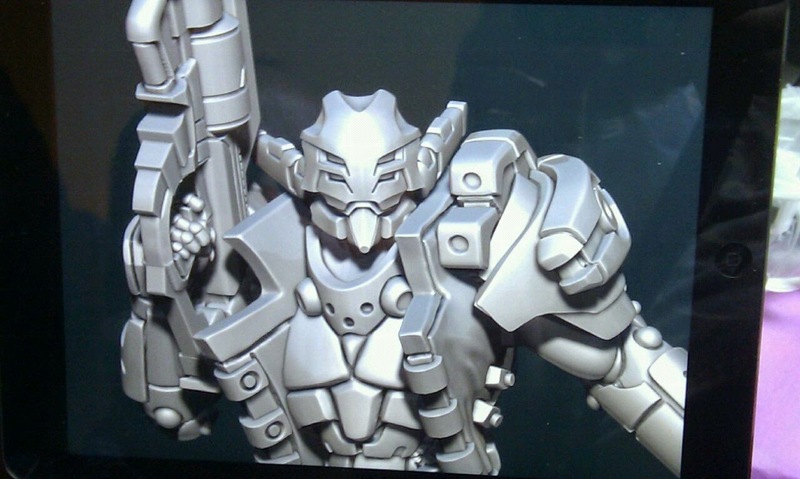 New Aquila Guard renders released this weekend - with what looks like a shoulder-mounted Panzerfaust?! 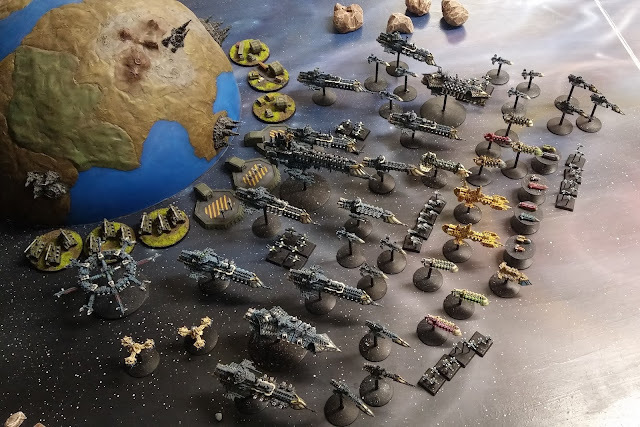 This Saturday was a big day for me as it was the first Infinity tournament held in Bristol and was the capstone on our escalation league. Ten Competitors showed up for a 200 points ITS event at Bristol Independent Gaming, all hunting for fame, glory and riches. Or at least some new toy soldiers and a certificate! Yep, First place was not going to be getting the limited edition mini. This was deliberately done because the event was going to be host to a mix of very new and very experienced players. I wanted to keep some excitement going right through to the end of the event as anybody had the chance of snagging a cool prize without having to worry about their score. One thing that I didn't know at the time though was that the ITS Winners Pack (with Le Muet in it) also had a patch and badge stating "ITS Winner 2015 Season" on it. If I had known then I would have removed them and given them to first place also. Lesson learnt for any future events. Not a bad prize pool for a £9 event I think! As I'm sure many of you are aware, the Warhammer world has been exploded. Pretty dramatically at that. In what has been a fairly exciting six months, the fantasy world that many of us have grown up with has finally been pushed over the brink. Lizardmen have absconded in their pyramid-spaceships, Skaven have got fed up and left, the Estalians have been wiped out and all the elves are best buddies again (kind of). What comes next is anybodies guess. I'd like to tell you what I'm hoping for though. A return to the Realms of Chaos. Well, I haven't had much time for painting, but at least I've managed to get something gaming related done. Now, like many of you I'm sure, I tend to daydream and plot what projects to work on next and what to paint up or collect in the future, and one of the driving factors behind my purchases are chaos warbands. I was also concerned that my, completely amateur, programming skills were getting rather rusty, so what better project could there be than making a warband generator for WFRP3? My goal was that the program should create a warband with the click of a button and that it should have a number of settings to allow you to customise the output. It should follow the rules laid out in Slaves to Darkness and Lost and the Damned as closely as possible. The project was completed in an Excel workbook with lots of VBA and some tables carefully copied from the source books. There is a lot more I could do to work on it, but I've decided it's stable enough to release into the wild for now - although there's always the temptation to just keep adding little features forever! Please note that for it to work, the file will need to be downloaded and macros will need to be enabled. So I realise this blog has been fairly quiet lately. In fact, I haven't written too many words on here since I binged out three articles in one day almost a month ago! Truth be told I've been feeling a little bit burned out for the past few weeks. I've spent so much energy preparing for Infinity events, painting demo armies, organising tournaments and running the local league that I just haven't found the time to properly unwind and work on some other casual projects - and believe me when I say that there are plenty to work on! It doesn't help that the last few models I tried painting I immediately stripped again because I wasn't happy with them. That was a real downer and is a substantial reason for my lack of enthusiasm currently. But I found the time to go to an event that somebody else was hosting (Thanks Darren!) to try out some weird and wacky lists. Teucer - Good this be the mini that will break my painting drought? So I was down at Bristol Independent Gaming last Saturday to run demo/intro games as well as play a few casual battles as well. It ended up being a really full day for me (I was pretty exhausted by the end!) but it seemed like everything was well received. Infinity is a strange game. The way the Line of Sight and Cover rules work means that you need quite a lot of scenery on the table - in fact there are many anecdotes on people spending, and investing, more on terrain than on their armies! Suffice to say you can never have too much good scenery, especially if you have multiple tables to fill or are demonstrating the game to other clubs and stores. So I figured it was time for an investment. At my local club there was a collection of Micro Arts Studio buildings that had been languishing in a plastic tub for several months. They had largely just been dry fit with a couple of the panels back-to-front or inside-out and pieces were loose or missing outright. Due to their state they were rarely used, people were somewhat worried about them falling apart of being damaged. So I bought them up and decided to give them a new lease of life. I'd never really worked with the HDF material before and I didn't have an airbrush to use for the painting, but decided to just dive in anyway! Infinity-Ville - Population entirely composed of Special Forces and shady Mega-Corporation employees. If you played N2 at all then you may know that, back in the day, Lieutenant Orders had a variety of extra uses (forming link teams, auto-passing Guts rolls etc.) beyond just moving your LT and getting him or her shot. However these functions and many others are instead now covered by the new resource in the game - the Command Token. Each army, regardless of points level, starts the game with 4 Command Tokens, although some characters like Sun Tze provide a 5th using the Advanced Command skill. These are a non-replenishing resource - once used they are gone - so be careful with them. On the other hand you don't want to be left with a pile unspent at the end of the game either. In every game of N3 I've played so far these have been very important, so I think it's worth talking about them a little bit. I'm going to try and give a description of what their different uses are and how to make the most of them. 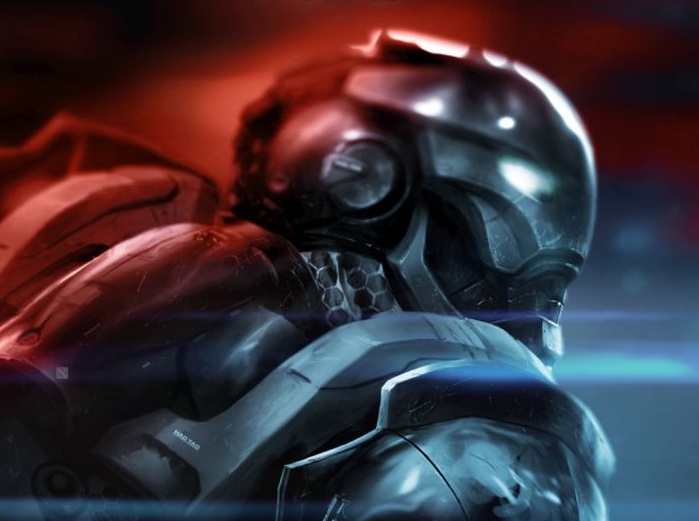 Again this is a 'game theory' article so enjoy some pretty concept artwork by Corvus Belli rather than my usual photos. Well, it's been a long... err... several months but my Operation: Icestorm Nomads are finally complete. They've been out for their first few demo games now and have performed admirably against their PanOceania counterparts. There's not going to be too much blurb today, just lots of pics of painted models! I thought they'd never be finished! Our local Necromunda campaign is continuing fairly swiftly and now that I'm four games in I think it's time for an update. Despite doing rather well in all my games and causing substantially more casualties than I've received, I've managed to bottle all but one of them as soon as I had three down fighters while my opponents were passing back-to-back bottle rolls... *sigh* At least I can console myself with the knowledge that I've caused a fatality in every one of my games! As you can imagine, this hasn't been ideal for gaining territories. On the other hand I've had nobody die on me so I haven't had to spend my meagre income on replacing people and have a decent stash saved up. But now that other gangs are gearing up it's time to join the arms race. So say hello to Kip. Round two of the Vanguard Escalation League has come to an end now (with both a strong victory and a crushing defeat for me) which means it's time to step up to some proper games. 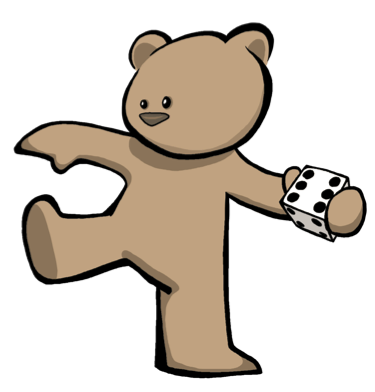 This is the first round to be played at a 'normal' points value and with the full rules. 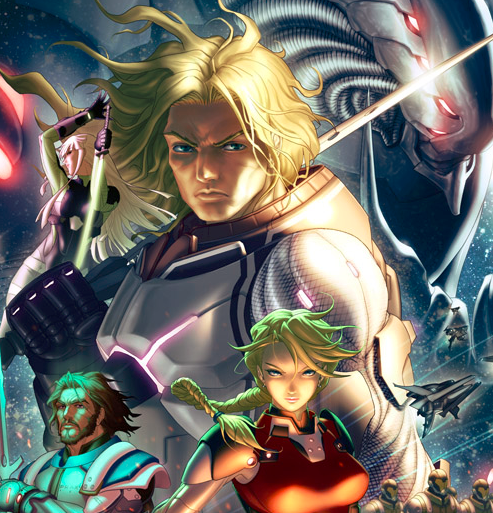 Hacking is the last part of the game to be introduced and has the potential to play a big part in games of Infinity because it serves as a way to keep the stronger units in the game (Heavy Infantry and TAGs) in check. I'm sure all the players will find creative uses for this new suite of abilities. The round three missions are below. Caught up in a moment of madness I made a dreadful mistake. One that, in the months since, I have come to regret. I based all my Chaos forces using brown flock. What in the Realms of Chaos was I thinking? The original idea would be to make them seem more 'evil', as if all life near them simply wilted away. But I have quite a gritty (unkind commentators might say 'dingy') painting style as is and I appear to have forgotten how much I needed the brighter basing to make the models stand out. I also want to be able to freely move models and units between my different armies so having a cohesive basing scheme for all my troops would be beneficial. 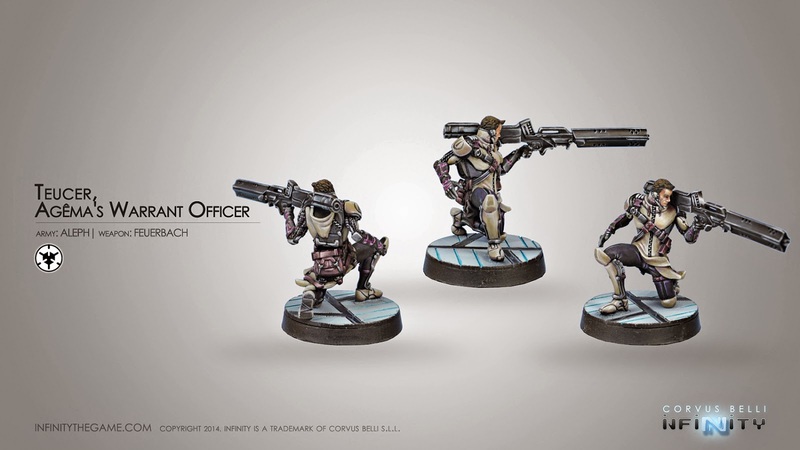 Especially as now have some foundry humans that I want to be able to move freely between good and evil forces. Meet my metaphorical guinea pig, the Chaos Hero Sally Forth. Sally, say hello to my readers. The first round of the Vanguard Escalation League has been well received with 8 people having completed the first round missions. It's been great to have people down playing (multiple times) each week and everyone seems to be getting to grips with the game. A lot was learnt by new and experienced players alike. 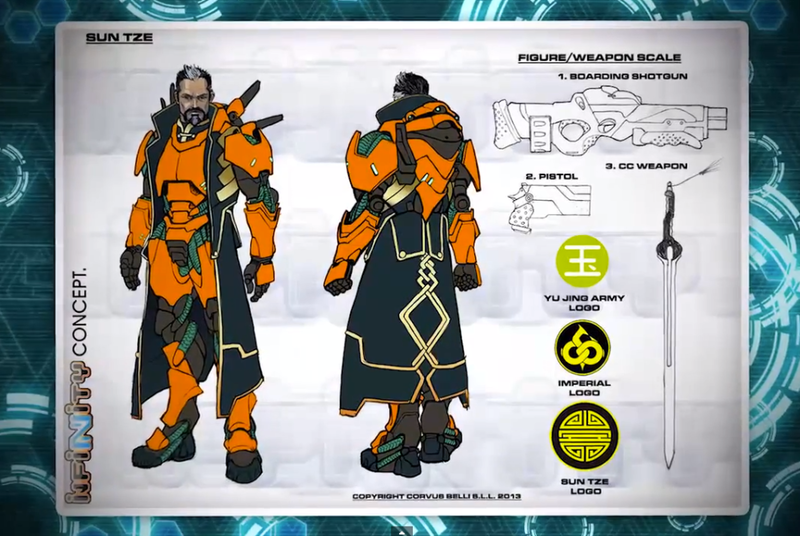 In particular Stealth and Suppressive Fire have had huge impacts on all of our games and finding ways to to deal with these abilities has been key. So with the new round kicking off on Monday, I present to you the Round 2 missions.